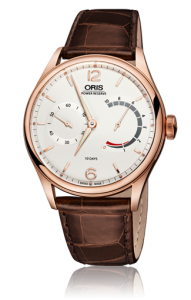 Presented for Oris 110 Year anniversary. 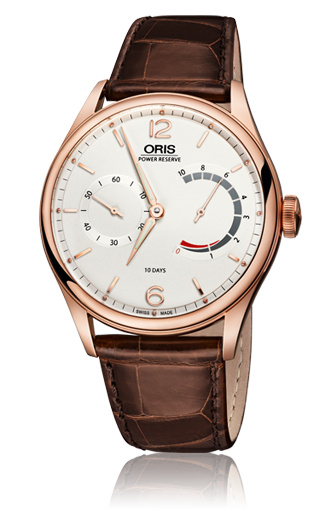 It is a limited edition of 110 pieces, rose gold 43mm case, impressive 10 Day power reserve mechanical movement, and 10 day power reserve indicator, with sapphire glass back. Available on elegant brown crocodile leather strap with regular pin buckle.